It's all about taking it one day at a time. 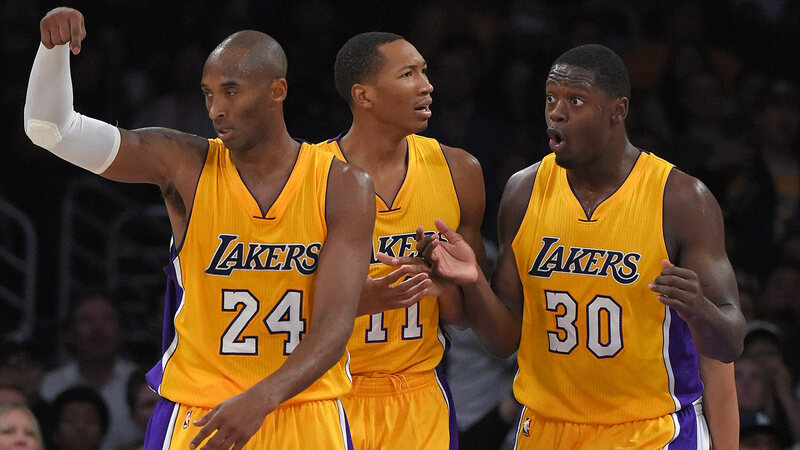 And Monday was a pretty big day for the Los Angeles Lakers and Julius Randle. Randle hasn't had the opportunity to participate in practice, let alone a game, since he suffered a season-ending leg injury in the very first game of the 2014-15 season. But on Monday, Randle joined the rest of the Lakers' Las Vegas Summer League roster for practice — his first full, official practice since the injury. After the session, Randle spoke to the media, and his joy at being back on the floor was palpable. "It's something I've been thinking about for a long time," Randle said, according to ESPN.com's Baxter Holmes. "It's excitement and hunger and anticipation." "The credit goes to my coaches for staying on me and not letting this downtime being injured be a step in the wrong direction," Randle added. "I'm taking advantage of it the most that I could. It's also me with my drive and will and people supporting me. The credit goes to all of them." The Lakers should have a fun summer league squad, with Randle healthy and D'Angelo Russell on board to get him the rock. Jordan Clarkson will be in Las Vegas as well, and so will Larry Nance Jr. If all goes well for Los Angeles, it'll be the first step in the young core building chemistry and familiarity that will take the Lakers back to the front of the NBA.